1 photograph : b&w ; 12 x 21 in. Climo Studio was a photography studio established by John Saunders Climo in the early 1870s. The studio was based in Saint John, New Brunswick. The Climo family operated the studio until the 1960s. 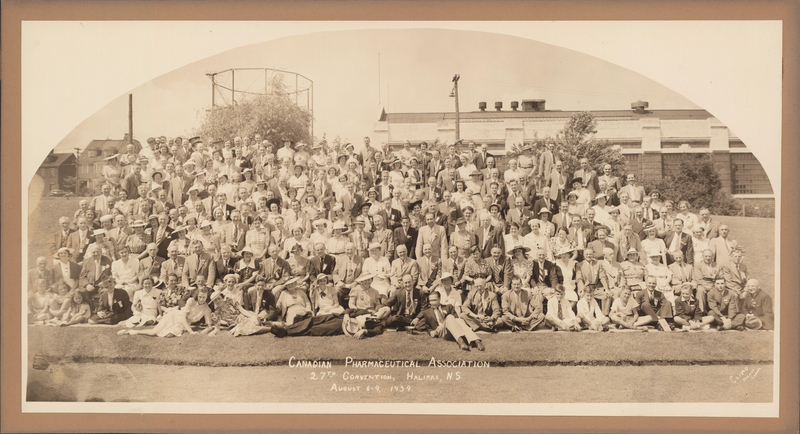 Item is a photograph from the 27th convention of the Canadian Pharmaceutical Association which took place in Halifax, Nova Scotia from August 6th to August 9th, 1939. 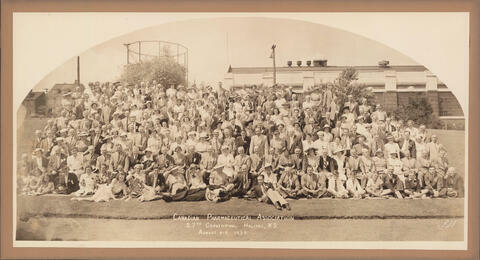 The photograph is a group picture of the attendees of this convention. Photograph is mounted on a matboard. Previously PC1, Box 23, Folder 9, Item 1.